IFA 2017: ASUS announces Windows Mixed Reality Headset. ASUS Vice President Eric Chen today took the stage at The Edge of Beyond press event at IFA 2017 in Berlin to unveil the ASUS Windows Mixed Reality Headset. The headset features a beautiful design with a unique, 3D-pattern aesthetic and is constricted from comfortable, lightweight materials. 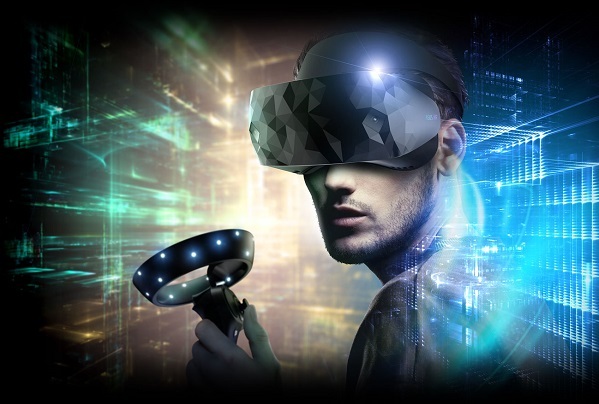 The ASUS Windows Mixed Reality Headset features innovative inside-out tracking with two built-in front-facing tracking cameras with six-degrees-of-freedom (6DoF) position tracking. Unlike other headsets, the ASUS Windows Mixed Reality Headset doesn't need external sensors or additional software, making the initial setup simple and getting users up and running in minutes.